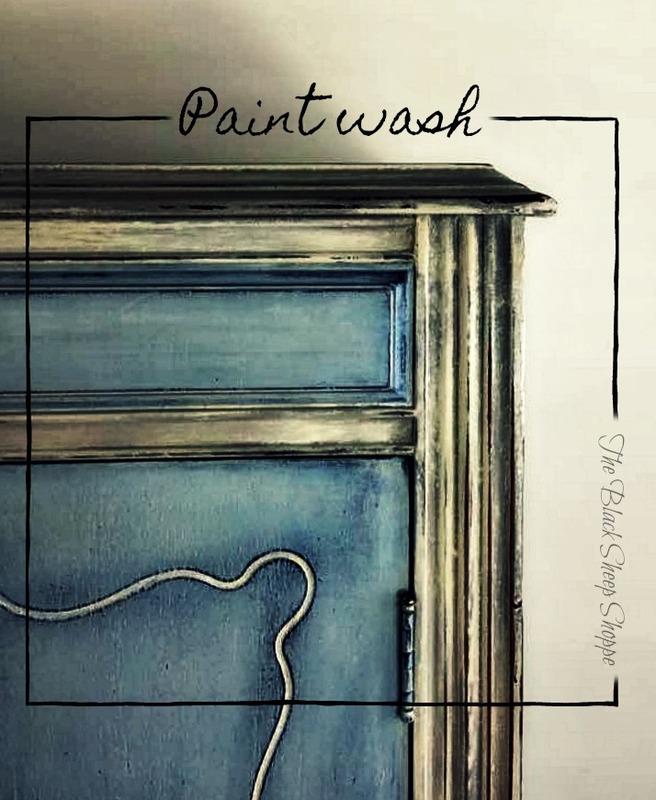 Today's post will explain how to apply a paint wash to soften a color and create subtle dimension in the painted finish. But before I get to the paint wash I will quickly run through the initial painting steps. 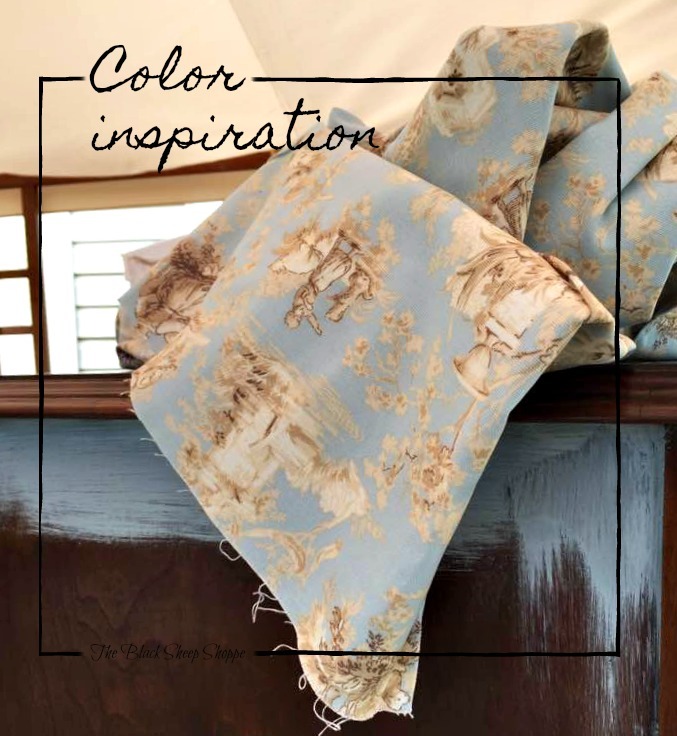 The toile fabric will be used to line the interior of the armoire, and I am using it for my color inspiration. 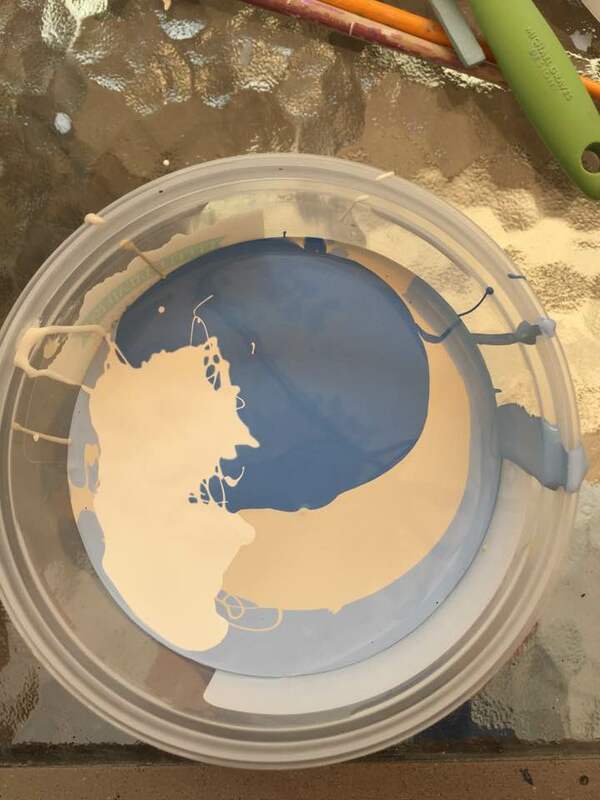 I mixed up a batch of Louis Blue, Old Ochre, Old White, and Greek Blue. 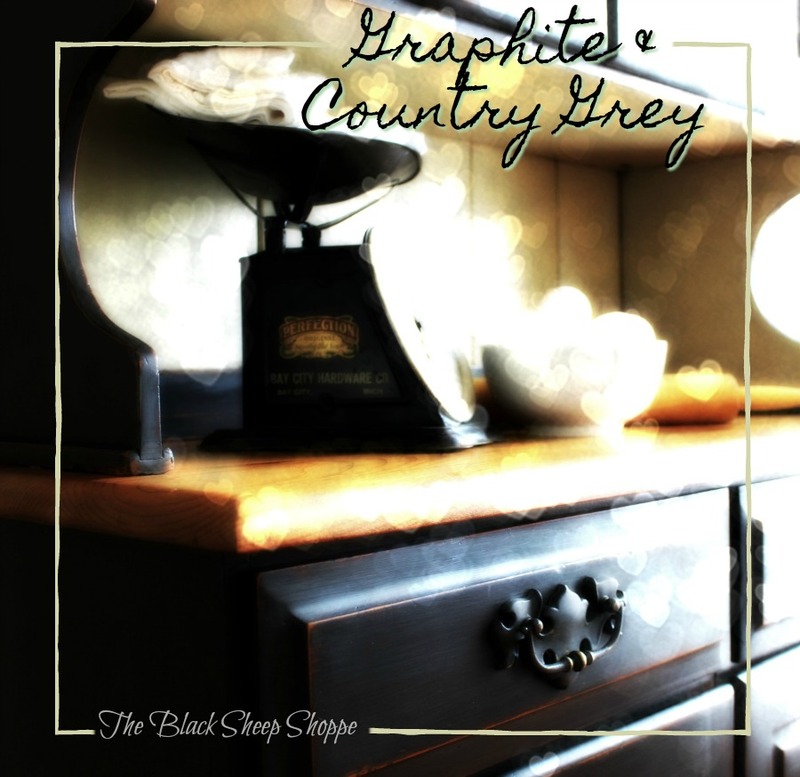 First I mix a small batch, jot down the ratios, and then mix up a larger batch. The written formula is handy if by chance I need to mix more paint to finish the project. 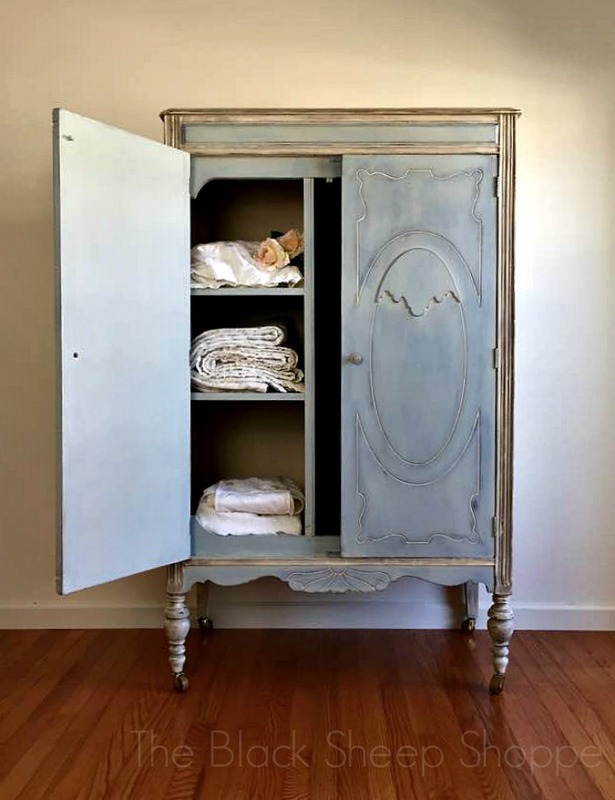 Custom mix of Chalk Paint: Louis Blue, Old Ochre, Greek Blue, and Old White. 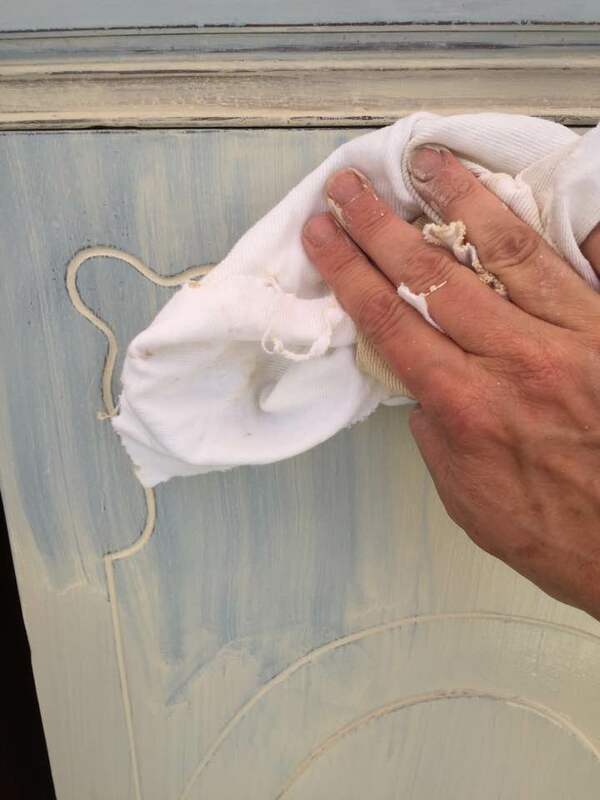 I painted the panels and the doors in my custom blue (two coats) then used a fine sanding sponge to lightly distress the paint. 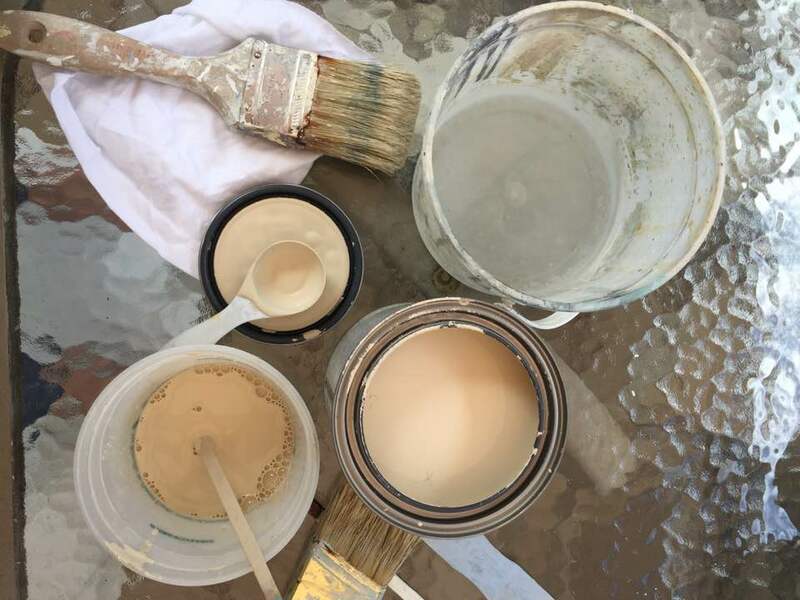 Use a fine sanding sponge to lightly distress paint. 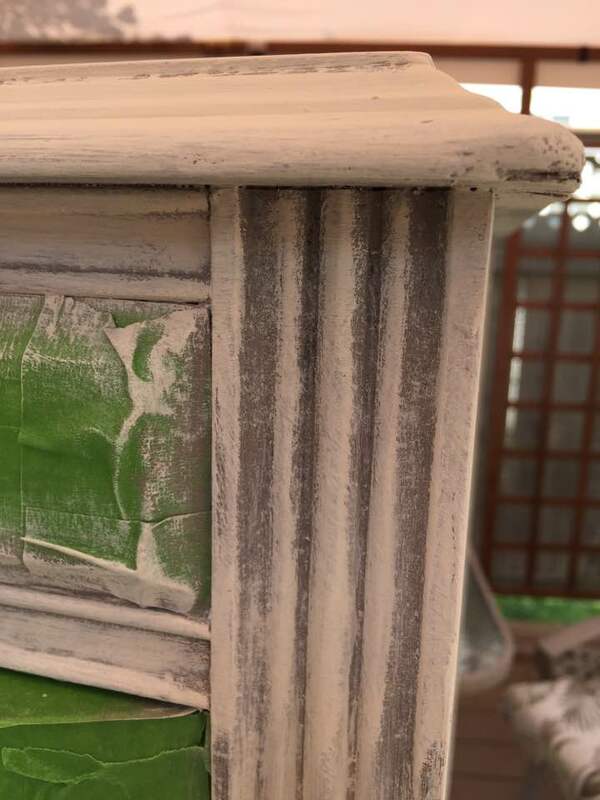 Prior to applying the paint wash I sealed the chalk paint. 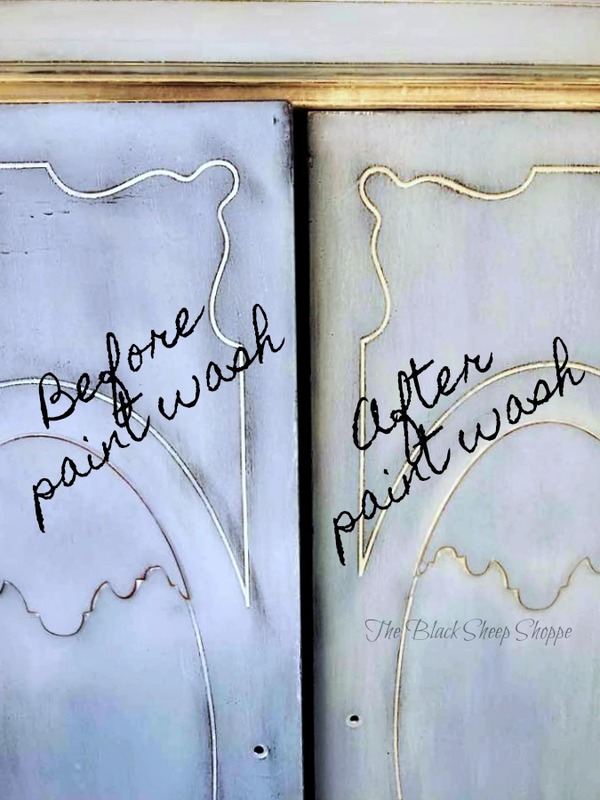 This step is important to avoid the base color from absorbing to much of the wash. I sealed the paint with white wax, but clear wax would also work. Apply wax to seal the base coat before applying the paint wash.
Next I prepared a wash using Old Ochre. I used a tablespoon of paint and diluted it with a few tablespoons of water for a very thin consistency. 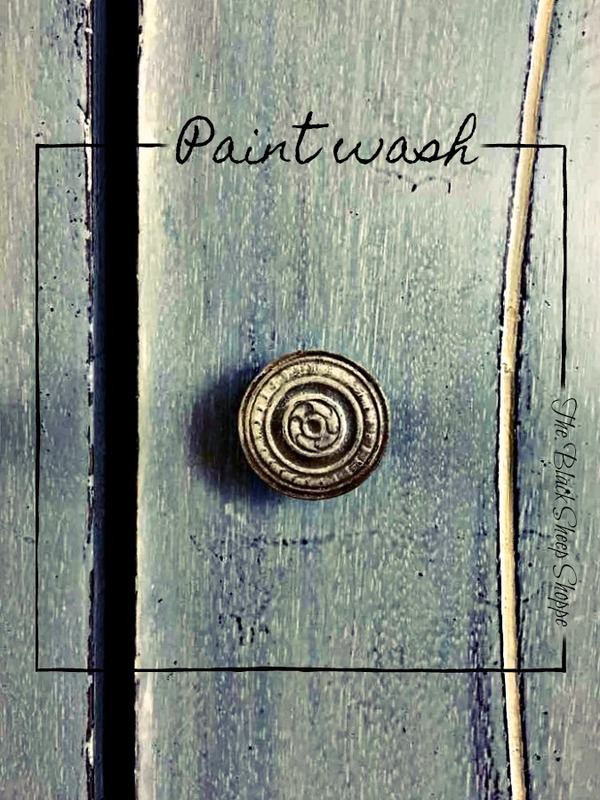 Dilute Chalk Paint with water to create a paint wash. Using a brush I quickly spread the diluted paint all over the blue. 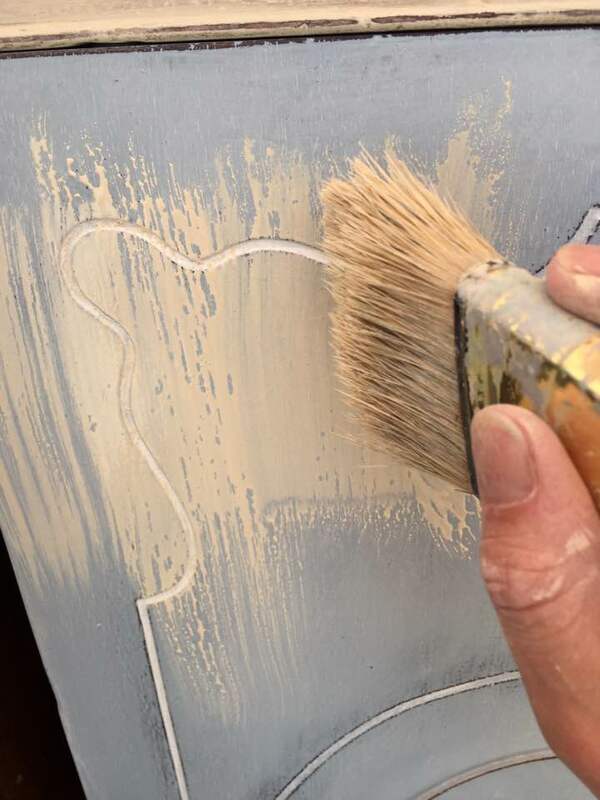 You can see in the photo that the paint wash beads up slightly when applied over the wax. No worries since I'll be wiping it back. This part doesn't need to be perfect. 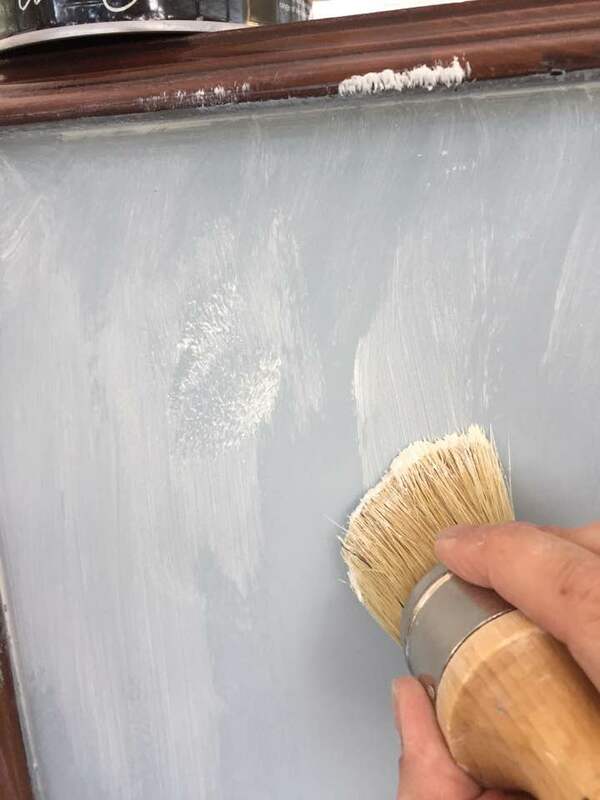 Quickly apply the wash over the sealed base coat. This is the wash applied in an all-over fashion over the door prior to wiping it back. The paint is still quite wet at this point. Wash applied all over. The paint is still wet at this point. The next step is to wipe back the paint wash. I had a large bag of shop rags on hand for this step. 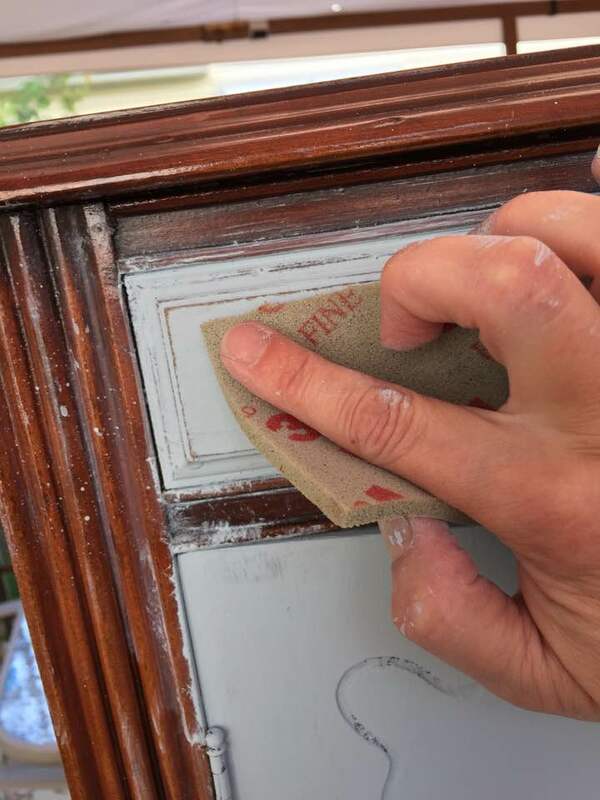 Using a shop rag I began wiping the paint wash off the door. 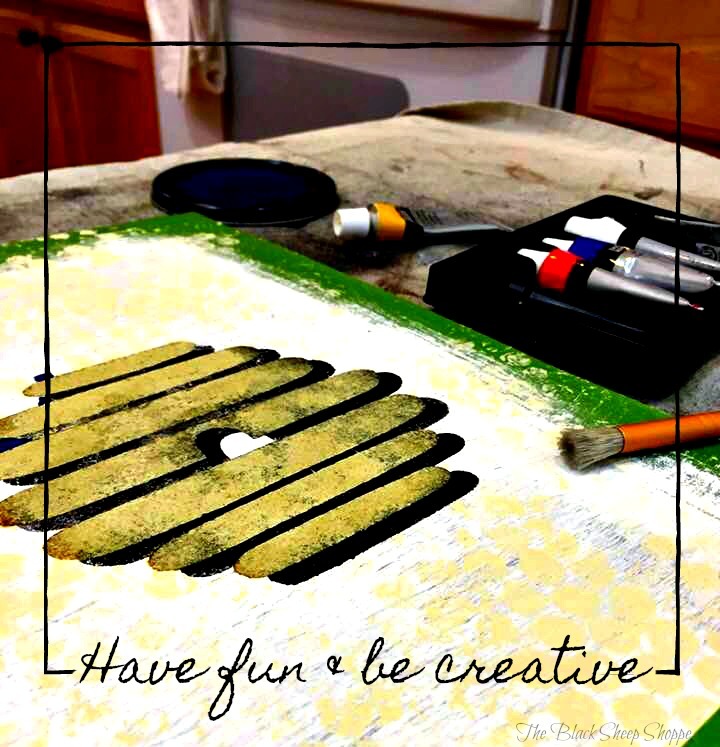 As the rag became saturated with paint I would grab a new one. 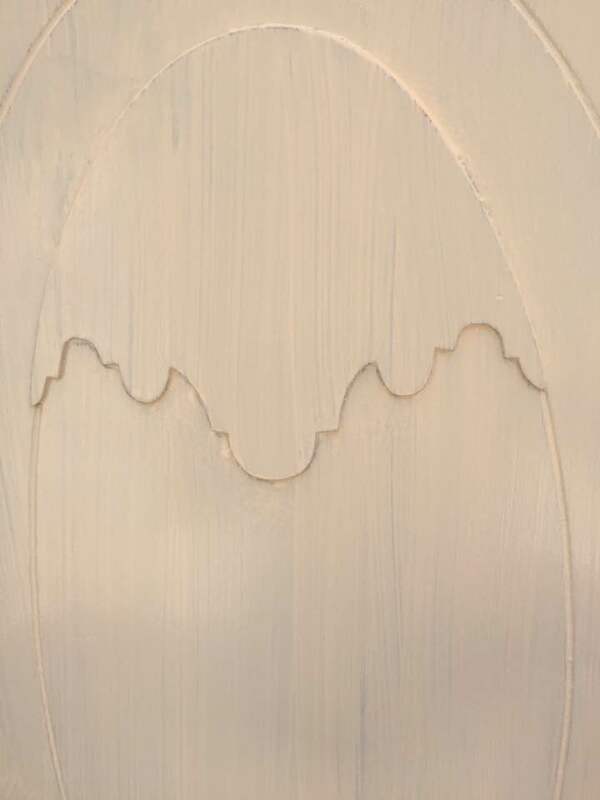 I used a light touch and then repeated the process to remove more paint until I got the look I was after. 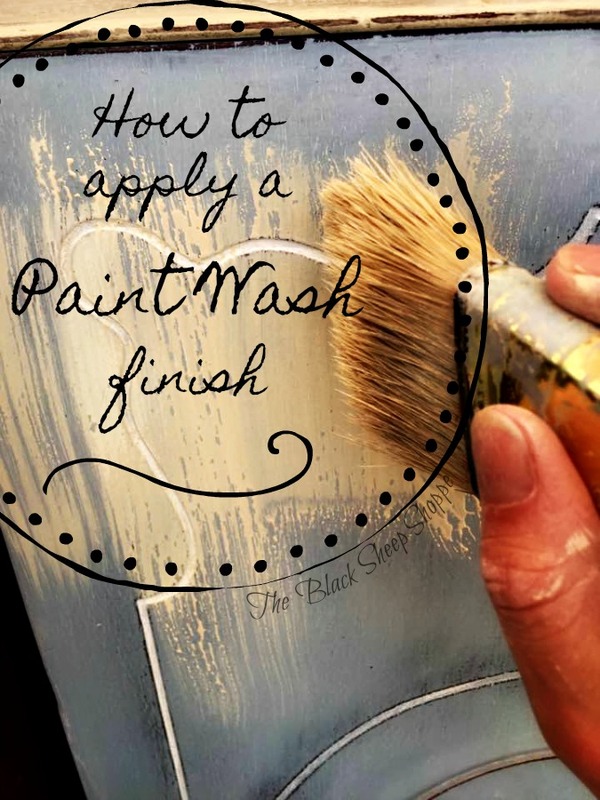 If too much paint is removed then simply apply more wash and repeat. Use shop rags to wipe away the wash. The next photo shows the doors side-by-side with and without a the paint wash. I took the photo outdoors while I was working, so it might be difficult to see the difference. Nevertheless, the overall effect is subtle. 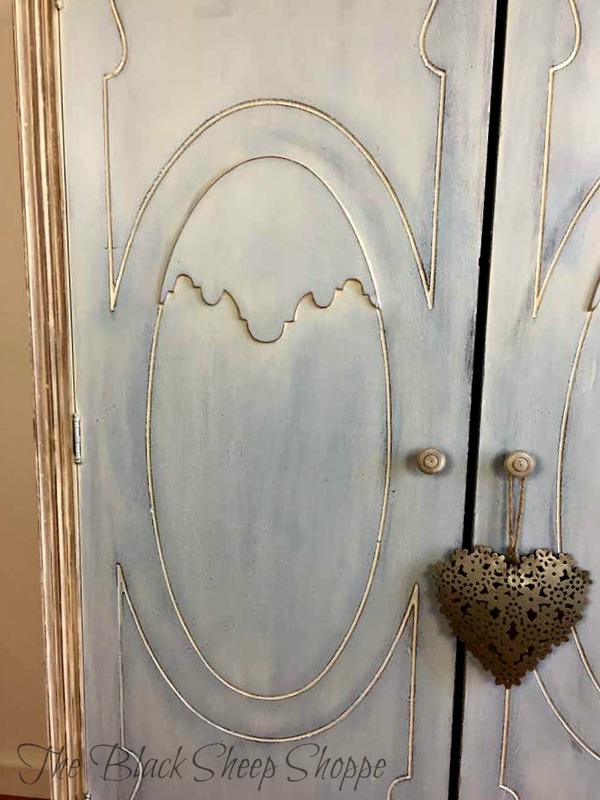 To finish the exterior of the armoire, I applied a layered paint technique using layers of Coco, Old Ochre and Old White. I applied light distressing here and there with a fine sanding sponge. I finished the exterior with a coat of clear soft wax. Below is a photo of the doors that I took indoors after the project was completed. Here's a closer view that shows how the Old Ochre paint wash settled into the blue. It's a little extreme in this photo as my camera was so close. Stepping back a bit you can see that the effect is more subtle than the previous photo. 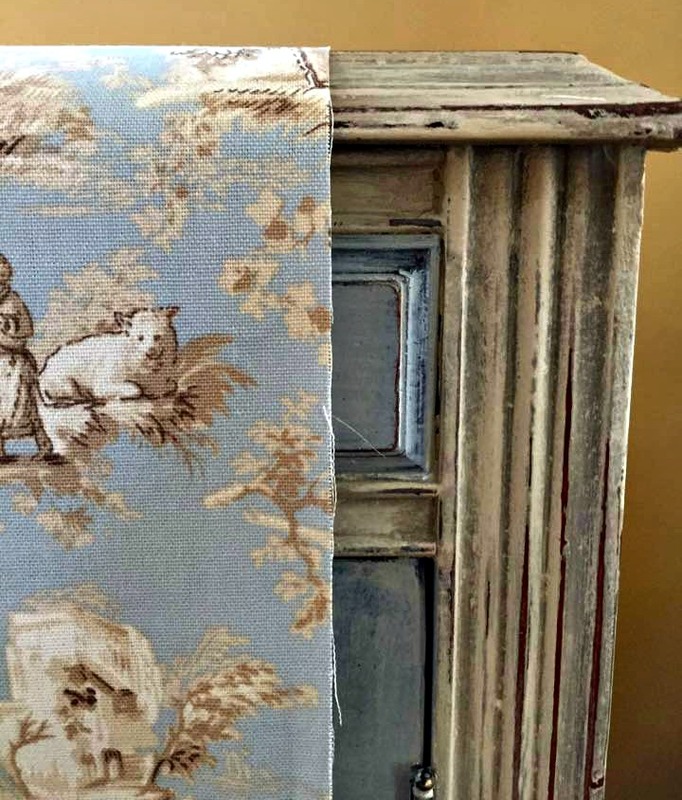 The next phase of my armoire project is to line the interior with the toile fabric. EDITED: You can view the finalized project HERE.